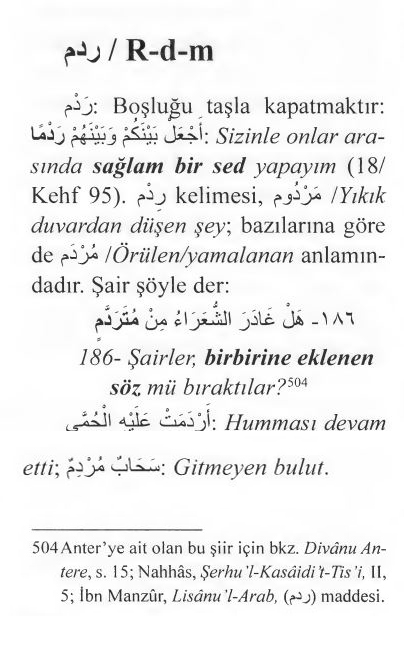 Zülkarneyn'den SED istiyorlar ama SED YAPMIYOR REDM yapıyor. Ra-Dal-Mim : to shut, block, fill up, a thing which one part is put upon another or joined or sewed. radmin - rampart, strong wall.